Many students turn to us for help with assignment writing; they have already understood what quality of the highest level is. Cleveressay.co.uk has been engaged in the field of assignment writing service in the UK for over 5 years. Our team consists of 1200 assignment writers who are able to cope with the task of any complexity. 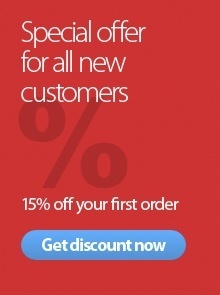 Cleveressay.co.uk offers you to obtain a special assignment help. UK students choose us because we provide a kind of unique service that is based on individual requirements and needs of each customer. You receive the assignments online support the purpose of which is to satisfy your demands. Be sure that every single page will be original, plagiarism-free and strictly conforming to your personal writing style. Every specialist of Cleveressay.co.uk is a talented UK English native writer, a real pro in a particular research field. You can rest happily, getting ready to be impressed by the expertise of your assignment. Writing help has never been so reliable. We care about your confidentiality. We don’t reveal personal information about our customers to third parties. You get the chance to monitor workflow. You have a permanent contact with your writer, being able to request a progress report anytime you need it. 24/7 Support Service is at your disposal. 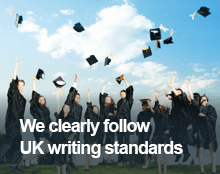 Cleveressay.co.uk experts start every assignment with a clear introduction that should include brief information mentioning what an assignment will discuss, its aim and a few words about how this assignment is structured. These would usually be included in 1 or 2 paragraphs. The next step is to ensure the continuity of concepts through the work, so that the reader can easily follow the argument. Our experts discuss each main point of assignment in different paragraphs. Academic writing is impersonal, so we avoid using ‘I’ or ‘You’ in every assignment, trying to build arguments by including evidence and viewpoints from different sources to present a clear, impartial picture. Our writers competently use references, bullets and numbering. They use examples as it is required. They also illustrate their ideas with different tables and figures when necessary. That is how Cleveressay.co.uk manages with your assignment. Now, ask yourself – what does quality service mean to you?